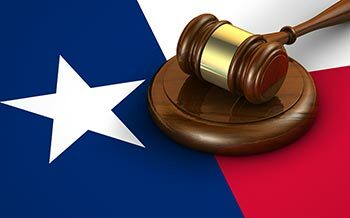 Home » Personal Injury FAQs » What is the Texas Insurance Code? What is the Texas Insurance Code? The Texas Insurance Code is the part of Texas state law that governs the way that insurance companies can operate in the state. It sets forth the regulations for insurance companies that are designed to protect consumers, sets penalties for violations, sets standards for enforcement of the law, and dictates what insurance companies can and can’t do. Most consumers who purchase any type of insurance in Texas don’t look closely at the Texas Insurance Code or have to worry about Texas insurance regulations until they have questions about their policy, have to file a claim, or are unhappy with some part of their coverage or the way they were treated by their insurance company. Even then, looking through the Texas Insurance Code can be very difficult and time-consuming. Below are some of the most common Texas insurance statutes that we deal with when working with our clients. Otherwise known as the Unfair Claim Settlement Practices Act, Chapter 542 is defined within Title 5, Protection of Consumer Interests, Subtitle C. Deceptive, Unfair, and Prohibited Practices. committing another act the commissioner determines by rule constitutes an unfair claim settlement practice. Chapter 542 further details the acceptable behavior and regulations that define how insurance companies can treat their customers. We often refer to this part of the law to investigate unfair claim settlements. Chapter 541 defines “deceptive acts or practices” by insurance companies that are considered to be unfair to consumers or create unfair methods of competition in the market. This section of state law is particularly helpful when we work with clients that feel they were duped or somehow promised something that ended up not being true in their coverage or policy. This often comes in the form of false advertising when insurance companies try to acquire new customers. This chapter can also be helpful in determining if class action suits are valid — as often, widespread deceptive acts or practices can lead to large numbers of customers being wronged. Chapter 1952 of the law defines the different required and optional provisions of policies that insurers offer their consumers, and how they can be applied. For example, Subchapter C. Policy Forms and Provisions in General, states that insurance companies must cover liability arising out of “ownership, maintenance or use of a motor vehicle” of a spouse during a period of “separation in contemplation of divorce.” This is one of the more obscure requirements that can often end up in court if a car accident occurs during a time when a married couple is undergoing divorce proceedings. Because Texas insurance law is incredibly complex, it can be incredibly helpful to work with experts who work with the law everyday and can understand and quickly locate relevant parts of the law to determine if a claimant has a valid case to file suit against an insurance company. That’s where the expertise of a trusted local lawyer can come in to quickly help you and determine if any of the Texas Insurance Code can support your case.